What Are Native Files in eDiscovery and Why Should My Law Firm Care About Them? Learn how changing a file from its native format can affect the production process and govern the way your small law firm collects data from clients. Every digital file is assigned a ‘format’ which indicates how its information is structured. Depending on the format, different programs will process the file data (content) and allow you to access and interact with the content in the operating system. A ‘native’ file format is the original format in which the file was first created. The native format is (usually) also the one which an application uses to save the file. For example, if a document is created in Microsoft Word, by default it would be in the ‘docx’ format (or the ‘doc’ format if it was created before 2007 when the ‘docx’ format replaced ‘doc’ as the standard format.) It is, however, possible to save a Word document to other file formats (exporting it) or convert it using a third-party program, while still allowing the information to be accessible and alterable. Word files can be converted to PDF or Open Office files (.odt), which can then be edited using programs like Adobe Acrobat and Apache Open Office. 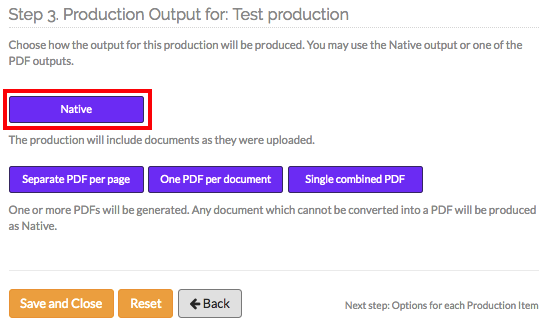 Where do native files fit in with eDiscovery? The format that a document or piece of evidence was created in sometimes isn’t necessarily one that can be used to review it or present it in. For example, an image that contains text will not by default appear on your eDiscovery platform’s search engine when you search for that text. 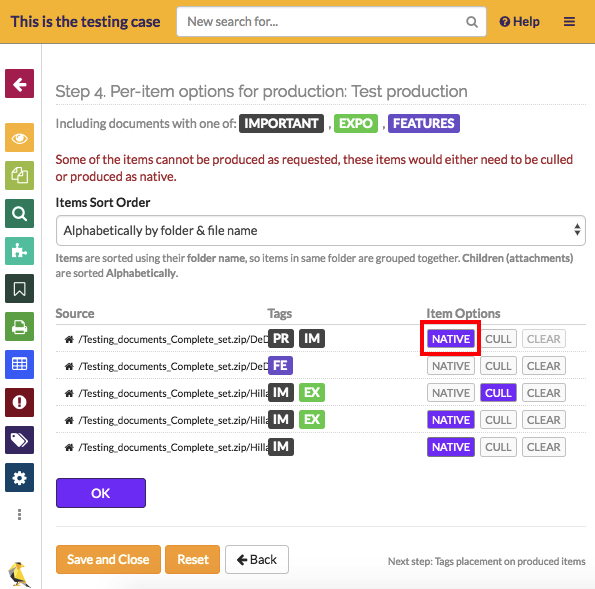 So some stages of the eDiscovery process–especially document review and production–require files to be modified, and thus changed from their native format into a “reasonably usable” format. This happens on a regular basis, as electronic files in eDiscovery have to be searched for and reviewed. In the example of the image of text, platforms like GoldFynch will perform a process called OCR to extract the text and make it searchable. This process creates a derived file that has the text extracted. GoldFynch will keep track of both the original ‘native’ file and the ‘derived file’. So requests for documents in their native format are not uncommon either. Unfortunately, it’s not always easy to get hold of information in its native format. For example, it’s harder than you’d think to export emails from services like Yahoo and Outlook, and it can be quite a task to walk your client through the process (or to go through it yourself.) In fact, if a client doesn’t archive their information, it’s possible that the original files in their native format have been deleted and are impossible to get a hold of. Though files aren’t always required in their native format, when they are it usually isn’t the best time to have to go hunting for the originals–at the least it will require a couple of searches through your client’s files, and much more commonly, it will take a number of phone calls and emails back and forth with them. Does that mean I have to maintain multiple copies of every file for different formats? Luckily, no. the right eDiscovery software will give you access to files in their native formats, while also letting you carry out functions like redacting and placing Bates stamps without requiring you to have multiple copies of the same file. Learn more about producing files in GoldFynch here, and best practices for working with native-format documents and load files here.